The journey to eating more raw foods has been great fun. I've been especially loving my juices, smoothies, super salads, raw soups and veggie 'pastas'. For veggie 'pasta' I like carrot and zucchini best. I have noticed I've been eating many more nuts to stay full though, and as much as I love nuts and value the nutrients they bring to my diet I thought I should add a little more variety to my plate. This 'creamy' sauce is avocado based. 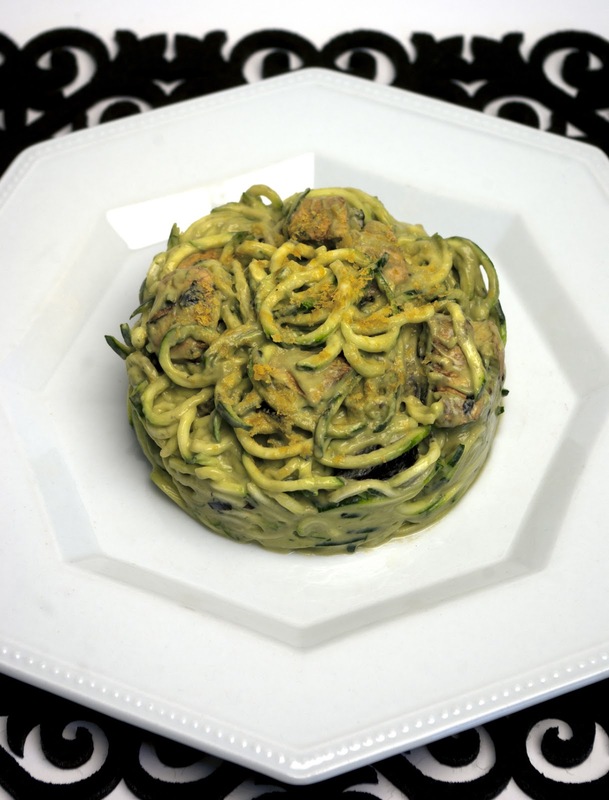 I find that adding good fats to my raw meals really keeps me satisfied and this is no exception The avocado makes a delicious base for the thick sauce that coats the zucchini and mushrooms are like little nuggets of earthy flavour in your mouthfuls. I really enjoyed this meal and hope you do too! 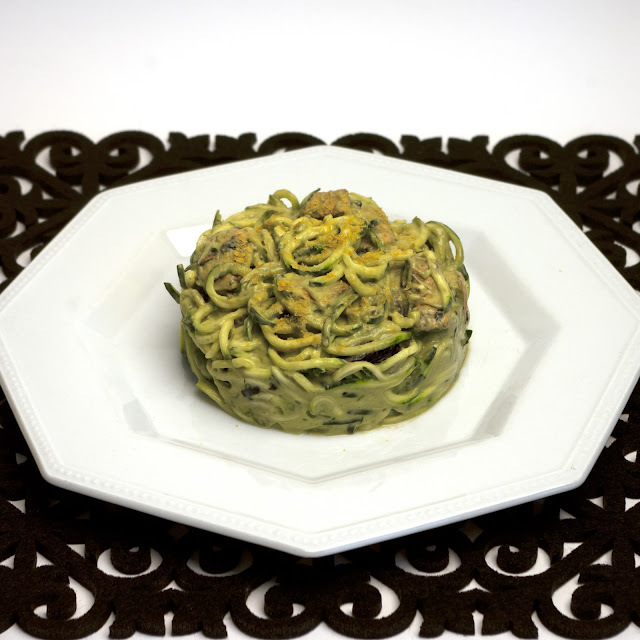 Spiral cut zucchini- if you don't have a spiral cutter just use a veggie peeler and make ribbons! 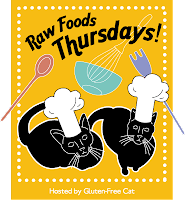 This is a delicious raw dinner, even if you're not fussed about raw food this is a winner- and lets face it, if you really wanted you could use the same sauce on any noodles/pasta you like.